HHS will award $125 million in grants to 1,352 community health centers across the country. 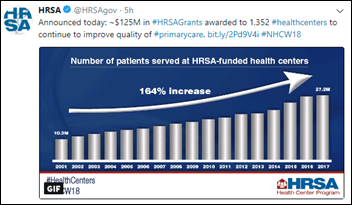 Funds will be allocated through HRSA to expand access to care, advance use of health IT, improve care quality and outcomes, increase cost-effectiveness, deliver patient-centered care, and address health disparities. 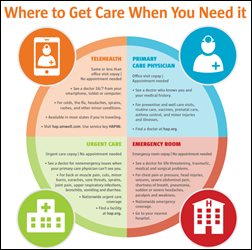 Over 27 million people visited a health center last year for primary care services. Cornerstone Clinic for Women (IL) selects email security software from Identillect Technologies. 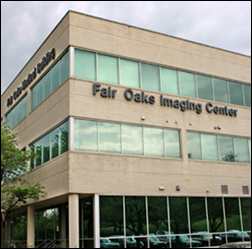 Reston Radiology Consultants (VA) implements Royal Kiosks and RoyalPay patient engagement technology from Royal Solutions Group. 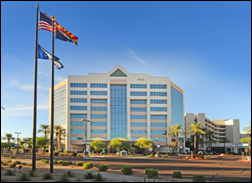 Arizona Heart Rhythm Center chooses PaceMate’s Live software and services, becoming the first provider in the state to offer remote monitoring of implantable cardiac devices. Practice management company Women’s Health USA will offer its providers access to clinical research at the point of care through Elligo Health Research’s Goes Direct technology. Women’s health and fertility care company Kindbody purchases the IVFqc cloud-based EHR and billing software assets of Althea Science. 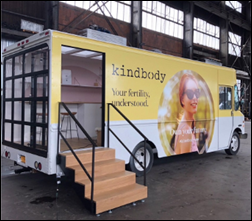 Kindbody will incorporate the technology into a national network of pop-up and brick-and-mortar clinics. The New York City-based startup got its start earlier this month, and has brought on talent from One Medical, Mount Sinai Hospital, Flatiron Health, and Oscar Health. AHRQ launches an app challenge to encourage the development of user-friendly apps that enable the easy collection of patient-reported outcomes data. Submissions for the three-phase competition are due September 24. Prizes of up to $250,000 will be awarded throughout the contest. Healthix, a New York-based HIE serving Long Island and New York City, offers independent physician practices no-cost connection to the Statewide Health Information Network for New York through September 30. Additional funding incentives of up to $13,000 per practice are also available through state-based programs and Healthix. 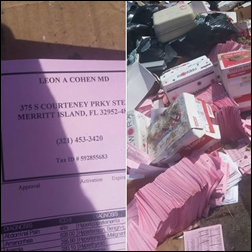 A concerned citizen’s Facebook post of medical paperwork found spilling out of a box at the county landfill leads outraged patients to contact family physician Leon Cohen, MD who went down to the dump to investigate. Cohen insists the papers were bills, not records (which are stored in his EHR), and has assured all concerned that they have been removed and properly shredded. AdvancedMD announces AdvancedCQM, a free module to support MIPS Quality Reporting. Aprima will integrate payment solutions from ClearGage. Practice management software vendor MedEvolve reports a 38-percent increase in Q2 bookings over the same period last year, making the quarter the company’s most successful to date. Kareo names Kyle Ryan (PwC) CTO and Andrea Kowalski (Athenahealth) VP of product. Sunbelt Anesthesia Services implements Plexus Technology Group’s EHR at several ambulatory surgery centers in Jacksonville, FL. 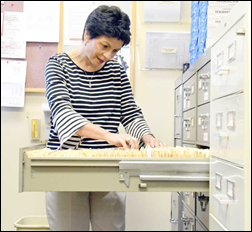 A $743,470 from the Missouri Foundation for Health enables 14 county health departments in the southeastern part of the state to move from paper to digital medical records. Cape Girardeau County Health Department Director Jane Wernsman tells me stakeholders selected Patagonia Health’s EHR. The three-year grant covers all of the software and training in the first year, 80 percent in the second, and 20 percent in the third. Go live for all counties will likely be towards the end of September. 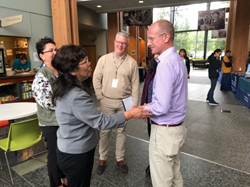 FCC Commissioner Brendan Carr visits several provider sites in Alaska in support of his efforts to increase Internet subsidies Alaskan providers rely on to deliver care through virtual consults. The commission increased the subsidies from $400 million to $571 million after a rate review prompted by the inability of one hospital to pay its $1 million Internet bill. Check out Carr’s tweet stream for an entertaining and picturesque look at the ways in which Alaskan officials are working to keep their rural communities connected to services. 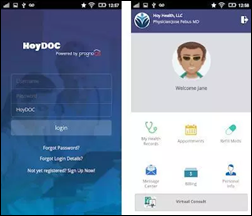 Hoy Health releases a bilingual telemedicine app for English and Spanish speakers. 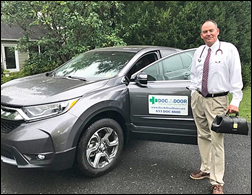 The Morristown, NJ-based startup also offers medication discount and chronic condition management programs. 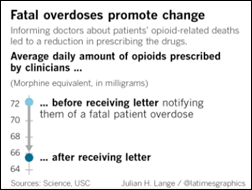 In an effort to get physicians thinking about their prescribing habits, the San Diego County medical examiner sends letters to 388 physicians involved in the care of 82 patients who had died from a prescription drug overdose, or complications arising from a prescription drug. The letters also included the number of such deaths seen by the examiner each year, prescribing tips, and online resources. A similarly-sized group with comparable patient outcomes did not receive a letter. The prescribing habits of both groups were tracked for three months after the letter-writing campaign. Those that did receive a letter reduced their prescription of opioids by 10 percent. A grandfather in Taiwan becomes known as “Uncle Pokemon” after the local news discovers he uses 11 smartphones attached to his bike to play Pokemon Go. Chen San-yuan told reporters the game has helped him to make friends and fight off Alzheimer’s. He plans to add four more phones to his collection soon. 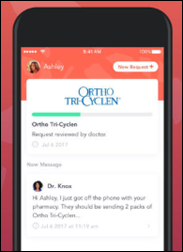 CVS Health adds MinuteClinic-branded virtual consults from Teladoc to its CVS Pharmacy app. The retail pharmacy chain piloted several telemedicine vendors last year, including American Well and Doctor on Demand, before settling on Teladoc. Provider and patient communications startup Klara raises $11.5 million in a Series A funding round led by FirstMark Capital. MTBC reports Q2 results: revenue up 12 percent, EPS $0.11 vs. –$0.09, beating analyst expectations for both. The health IT vendor closed on its acquisition of Orion Healthcorp last month. Physical and behavioral health telemedicine network TeleMed2U will move into expanded office space in its hometown of Roseville, CA as it prepares to add another 10 employees by year’s end. Competitor Kura MD acquired TeleMed2U in 2015. Nurx expands its text message-based prescription service for birth control and HIV prevention to Georgia, Tennessee, and Wisconsin. The company now operates in 20 states. Behavioral health management company Beacon Health Options will offer virtual consult services from MDLive to its customers, including employers, payers, Medicaid programs, and military personnel. 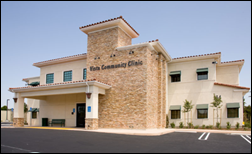 Vista Community Clinic (CA) selects patient referral management software from HealthViewX. Clinical documentation improvement company Enjoin develops a pre-visit planning program to help practices better analyze patient populations, identify compliance opportunities, and monitor performance. A National Business Group on Health survey of 170 employers reveals that 51 percent will make the implementation of more virtual care options a top priority in 2019. STAT profiles Hey,Charlie, an app that helps recovering addicts recognize environmental triggers and avoid risky places and people. 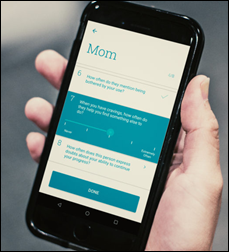 Developed at an MIT hackathon several years ago, the app has evolved into a startup run by a team of three in their spare time with funding from RWJF and the National Institute on Drug Abuse. The business model has proved tricky, says co-founder and IBM Watson Health Scientist Emily Lindemer, who wants to offer the app to patients for free as part of a treatment program. Hey,Charlie is being piloted by several clinics in Boston. In an effort to provide primary care physicians with more immediate resources for patients suffering from addiction, the University of Wisconsin-Madison and UW Health have set up a hotline to help direct PCPs to available resources within the state. “If primary care providers have a patient in the office who feels ready to make behavior change now,” says hotline program lead Randall Brown, MD “we can help them make medical decisions and give advice about behavioral treatment to try and get a plan in motion. Because when someone is struggling and seeking help, a plan weeks out is not optimal.” The hotline can be accessed at (608) 263-3260 or (800) 472-0111. Aprima announces that KLAS Arch Collaborative Ambassador Mike Davis will keynote its annual user conference, August 17-19 in Grapevine, TX. Global Payments will acquire AdvancedMD from Marlin Equity Partners for $700 million. Marlin bought the EHR, practice management, and RCM company from ADP for an undisclosed amount in 2015. The acquisition marks the first foray into healthcare for Global Payments, which caters to 11 other industries including retail, dining, gaming, nonprofits, and hospitality. 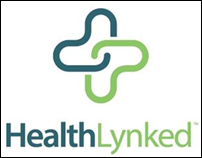 PHR vendor HealthLynked upgrades its provider-facing software to help physicians within its network more easily find and communicate with each other for referrals and consultations. Mental and behavioral healthcare provider ViaQuest (OH) will implement EHR technology from Streamline Healthcare Solutions across its facilities in Ohio, Indiana, and Pennsylvania. EDoc4U rebrands to Pathway Health Partners to highlight its focus on supplying physicians with preventative care plans and technology aimed at helping Medicare patients schedule annual wellness visits. Chronic Care Management acquires Careexpand’s CCM assets for an undisclosed amount. Careexpand will retain its patient engagement and communication software. From the Allscripts earnings call: Practice Fusion has had “tens of thousands” of paid signups since the June 1 termination of the free offering. Allscripts bought the EHR vendor for $100 million in January. 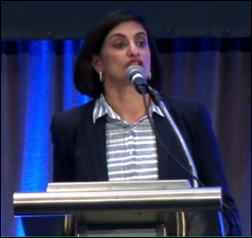 CMS Administrator Seema Verma tells ONC Interoperability Forum attendees that the agency is considering making Blue Button 2.0 integration a condition of provider participation in Medicare. The technology would allow Medicare patients to share their health data with research projects and third-party apps. Over 700 developers have registered for Blue Button API development access. It’s unclear how many patients are taking advantage of its capabilities. Vision benefits company General Vision Services will offer telemedicine-based eye exams from 20/20Now to its members as part of a new mobile clinic catering to employees. Intelligent Medical Objects will exhibit at the NextGen Midwest Regional Client User Group Meeting August 9-10 in Dearborn, MI. Verana Health raises $30 million in a Series C funding round that brings its total raised to $37.8 million. Formerly known as DigiSight Technologies, the San Francisco-based company initially focused on creating registries derived from EHR data for eye care providers and trade associations like the American Academy of Ophthalmology. It has since expanded to clinical data sets and analytics for the life sciences industry. Miki Kapoor (Tea Leaves Health) has joined the company as president and CEO. None in the coming weeks. Previous webinars are on our YouTube channel. Contact Lorre for information. EHR and practice management company DataLink secures a second round of funding from Revelstoke Capital Partners. Patrick DeAngelo (McKesson) joins Modernizing Medicine as SVP and general manager of business services. EHR and practice management vendor CentralReach names Chris Sullens (WorkWave) CEO. The Pompano Beach, FL-based company, which acquired Chartlytics in May, has also announced it will expand with an additional office in New Jersey. Health officials in Michigan are frustrated with the lack of integration between the state’s automated prescription system and provider EHRs. Less than half of the state’s 50,102 prescribers have gained access to MAPS, despite the fact that the state set aside $2.8 million for integration efforts. Physician practices point to slow integration efforts on the EHR vendor side, and a lack of interest due to the time it takes to check the database. Providers have just over a year to take advantage of the state funding, including the waiving of a $50-per-prescriber licensing fee. MDLive raises $50 million in a funding round led by Health Velocity Capital, bumping its total funding up to $123.6 million since it opened for business in 2006. A working paper from the National Bureau of Economic Research shows that physician referrals are more powerful than pricing when it comes to shopping for healthcare services like lower-limb MRI scans. Privately insured healthcare consumers chose higher-priced services recommended by their physicians despite at least six lower-cost options being available in their area. Less than one percent of patients reported taking advantage of price comparison tools. Not surprisingly, referrals made within a hospital’s network led to more expensive scans.